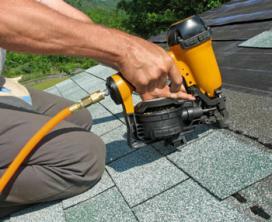 To contact us, schedule an appointment, or get a bid from our San Ramon roofers. Providing new, re-roof, repair and maintenance on a large variety of roofs. Your roof will only be as good as the company installing it. Our San Ramon roofing team has been hard at work for over a decade, and we think it shows. We receive most of our business from word-of-mouth, because we take care to make sure that every job is done right the first time. You'll find realtors all throughout San Ramon who won't hesitate to recommend our services because our roofs remain sealed for longer, our representatives are great communicators, and we always plan to do our jobs in one round - not lots of little trips that waste months while you live in a work in progress. Your roof is a vital structure support that controls different variables, such as, air flow, water vapor diffusion, heat flow, and surface protection. There are many types of materials that can be used when doing your roof and each product may have a different grade, so it is important to know the level of repair needed or how much you are willing to invest into a new roof.